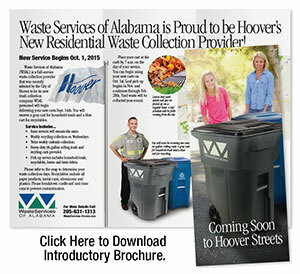 ​JEFFERSON COUNTY, Ala. - Effective October 1, 2015, Waste Services of Alabama (WSAL) began servicing more than 30,000 residential customers in the cities of Hoover and Gardendale, Alabama. The municipal contracts represent a strategic complement to sister company Santek Environmental of Alabama's landfill management contract with the Jefferson County Commission. 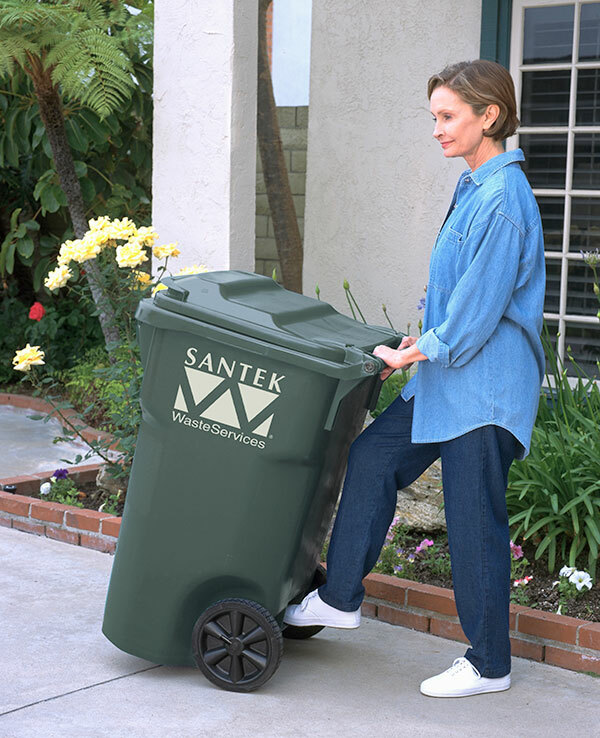 Santek began managing the county's waste disposal facilities in 2006. WSAL is providing twice-per-week residential waste collection service and once-per-week recycling and brush service to Hoover residents. Beginning in November, WSAL will provide leaf collection service to Hoover residents through the month of February. Meanwhile, Gardendale residents are receiving once-per-week waste collection service and can elect to add recycling. WSAL has invested more than $8.2 million in new vehicles, rolling carts and equipment. 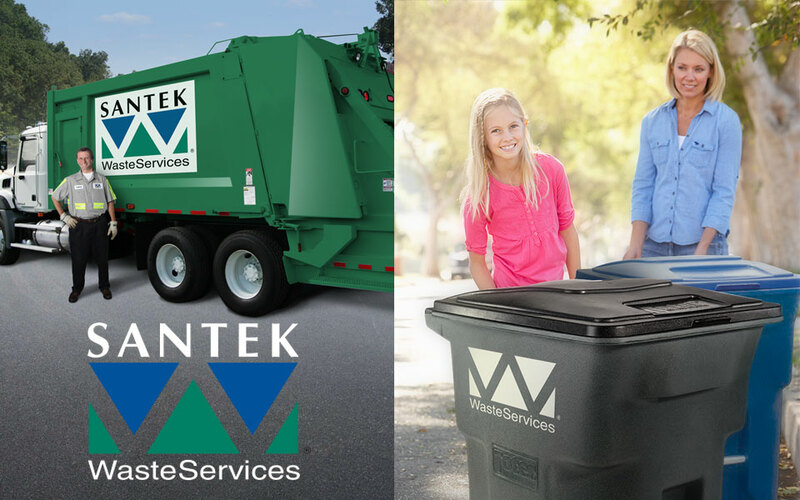 ​"Initiating the start-up of two residential waste collection contracts on the same day was a challenge, but we've got a good crew of employees who are committed to providing quality service," said Sam Dillender, Santek Waste Services' general manager. ​"We're humbled by the confidence city leaders have placed in us and we're excited about the future opportunities this base of business will open up to us," Dillender said. 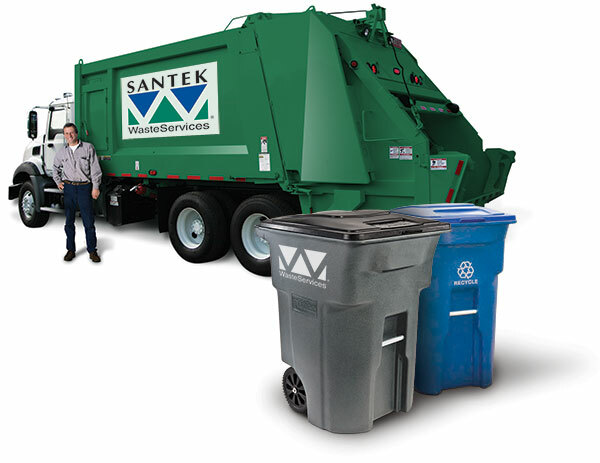 Santek Waste Services is WSAL's parent company and manages a total of 17 landfills and five transfer stations in nine states. Waste Services' affiliates manage more than 45,000 residential customers, and more than 8,500 commercial and industrial customers in a four-state region.